Keith's is one of the most thorough and intelligent brewers out there and when I think I might know a little about beer, Keith always puts me in my place. He is genuine and one of the nicest guys in the beer community, which is odd why he thinks I'm OK, because I'm ignorant, opinionated, inconsiderate and basically if I'm honest, a bit of a punk. If rockin Oysters with Stout gets you swinging then this is the beer for you. I love oysters so much and some times I can overboard eating them especially when made different ways. 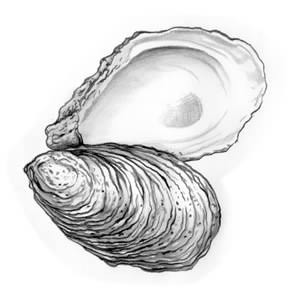 One of my ex girlfriends hated it when I overdosed on oysters, because. well, you know. As the famous saying goes, "twas a brave first man to have a pint of stout with oysters".